Votes at funds, like Franklin Resources, are especially important since the votes these funds cast at annual meetings drive the outcomes. We can’t expect to win important issues like Majority vote provisions to elect directors, requested reports on climate change activities or voting down outrageous pay packages until huge funds like Franklin Resources vote with us. Large commercial funds, such as Franklin Resources, often have a built-in conflict of interest. They want to service corporate clients, so do not want to offend corporate managers. At the same time, as investors in their funds, we want them to monitor management and be critical when that is in our best interest. These resolutions seek better alignment between the interest of investors in funds offered by Franklin Resources and the proxy positions taken by those funds. PIRC considers that the Company has procedures in place whereby the main Board is prevented from influencing the voting decisions executed by the Company’s investment adviser subsidiaries. This is to prevent undue interference in the discharge of the fiduciary duties of the investment advisers. This resolution could be seen to compromise this safeguard. However, I don’t buy it. The Company’s advisers are subsidiaries. Even if they were totally independent and were contracted services, Franklin Resources would have a fiduciary duty to monitor those votes and to assure they aligned with shareholder interests. I frequently agree with PIRC but we part ways on these anti-hypocrisy votes at Franklin Resources. The annual meeting is coming up on February 17th, 2017. ProxyDemocracy.org had collected the votes of 2 funds when I checked. I voted FOR both anti-hypocrisy proposals to expose the incongruency between what they say and what they do. I voted AGAINST pay, compensation committee, conflicted directors and the auditor. I voted with the Board’s recommendations 40% of the time. View Proxy Statement via iiWisdom. PIRC also voted against the pay package for a number of reasons but does not appear to have the same policy of voting against voting against the Compensation Committee. PIRC recommends voting against Lead Director P.K. Barker. They do not consider him to be independent because of a prior potential conflict of interest. Since I vote against compensation committee members when I vote against pay, that two strikes against Barker for me. PIRC recommends against C.E. Johnson because he is the brother of EO/Chair G.E .Johnson and is, therefore, not independent. That sounds good to me. They also recommended against G.E. Johnson because companies should not combine those roles. I agree with them and doubly so at a company with so many directors of questionable independence. They recommended against Chutta Ratnathicam, owing to a tenure of more than nine years. I am leaning in that direction (considering directors with nine years of service or more no longer independent) but I am not there yet. I followed the recommendations of both Egan-Jones and PIRC, voting Against. I voted as did funds and as both proxy advisors recommended for a one year frequency. 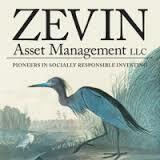 I’m lifting many of the arguments contained in a press release put out by Zevin Asset Management, LLC, a registered investment advisor. I am not including their extensive footnotes and references. As I explained above, I think anti-hypocrisy proposals are key in getting large funds to report incongruencies in their own behavior. Maybe in the era of alternative facts they don’t know they are saying one thing and doing another. Let me be clear, “anti-hypocrisy proposals” is my term, not that of the proponents. Franklin has acknowledged the climate change-related risks and opportunities facing its own operations and the companies in which Franklin and its subsidiaries invest. 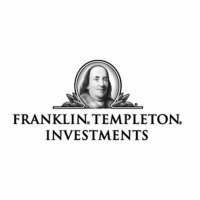 In 2013, Franklin Templeton Investments became a signatory of the UN Principles for Responsible Investment (UNPRI), committing to incorporate environmental, social and governance (ESG) issues into its investment process. But Franklin’s proxy voting practices are not consistent with its positions on climate change. Public voting records for the Company’s mutual funds indicate that the funds voted against the vast majority of the climate change-related shareholder proposals that came before them in 2015 and 2016. In 2016, Franklin’s mutual funds supported only one in ten climate change proposals tracked by the respected sustainable business group Ceres. The same analysis showed that peer companies like Wells Fargo, AllianceBernstein, and Morgan Stanley supported the majority of those shareholder proposals. This approach is at odds with Franklin’s own commitments. In Principle 2 of the UNPRI, signatories pledge to “be active owners and incorporate ESG issues into our ownership policies and practices.” Principle 3 states “we will seek appropriate disclosure on ESG issues by the entities in which we invest” and includes language resolving to “support shareholder initiatives and resolutions promoting ESG disclosure.” Sound proxy voting is one of the principal ways in which Franklin can meet these commitments and actively manage portfolio risks and opportunities related to climate change. By failing to support 90 percent of climate change-related shareholder proposals, Franklin is missing critical opportunities to reveal and address risks in investment portfolios. The proposals in question are frequently simple requests for disclosures that would help Franklin and its subsidiaries understand how companies are dealing with the risks and opportunities presented by climate change. Many of the measures are filed at companies in sectors with high carbon emissions and serious climate risks, such as oil & gas, mining, chemicals, and industrials. The Company’s fiduciary obligations to clients are at stake. Franklin has affirmed the connection between key ESG factors and fiduciary duty, stating in its 2016 CDP response that it “maintains a fiduciary responsibility to its clients and must therefore consider and integrate an analysis of all material issues into investment decisions, including environmental, social, and governance factors.” But Franklin’s voting record on climate change-related shareholder proposals suggests strongly that this approach is failing. As a result, we are concerned that the Company and its subsidiaries may not be adequately attending to fiduciary obligations. In its Opposition Statement, Franklin states that its proxy voting policies address ESG issues and its subsidiaries “generally vote in favor of ESG proposals that they believe have significant economic benefits for their clients.” However, that approach is inadequate because it has prevented the Company from supporting commonsense steps on climate change in the vast majority of instances. The Company makes no effort to explain the notion that 90 percent of climate change proposals would provide no economic benefit. Fiduciary obligations. The Company and its subsidiaries face risks if they cannot demonstrate that proxy voting policies and practices attend to their fiduciary obligations to clients. Franklin has properly acknowledged that addressing ESG issues in investment management lies within those obligations. Given the importance of this issue, the Company should examine and explain why voting against the vast majority of shareholder proposals on climate change (a critical ESG issue) is in the best interests of clients. Client expectations. Based on public disclosures and marketing materials, Franklin’s clients expect that the Company and its subsidiaries have a proactive approach to climate change. This is further evidenced in the Company’s endorsement of the UNPRI (a “green” signal among investment institutions) and in the Company’s 2016 CDP response. In light of increasing attention to investment company voting practices from both media and activists, Franklin’s voting record poses a reputational risk which should be reconciled via analysis and disclosure. I believe many of the same types of arguments also apply to pay and proxy voting. I favor both anti-hypocrisy proposals for recommending reports, since both will expose the Fund’s hypocrisy to its shareholders, clients, board and management. Once Franklin Resources investigates its own practices, I am hoping they will live up to their pledge at UNPRI and elsewhere. Shareholders hold no rights to proxy access. 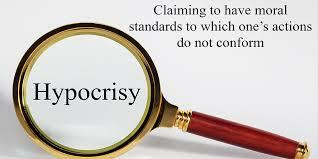 Anti-Hypocrisy proposals would again be in order if Franklin Resources does not change voting behavior. If a stockholder intends to present any proposal for inclusion in the Company’s proxy statement in accordance with Rule 14a-8 promulgated under the Securities Exchange Act of 1934, as amended, for consideration at the Company’s 2018 annual meeting of stockholders, the proposal must be received by the Secretary of the Company by September 6, 2017. Such proposal must also meet the other requirements of the rules of the SEC relating to stockholder proposals.